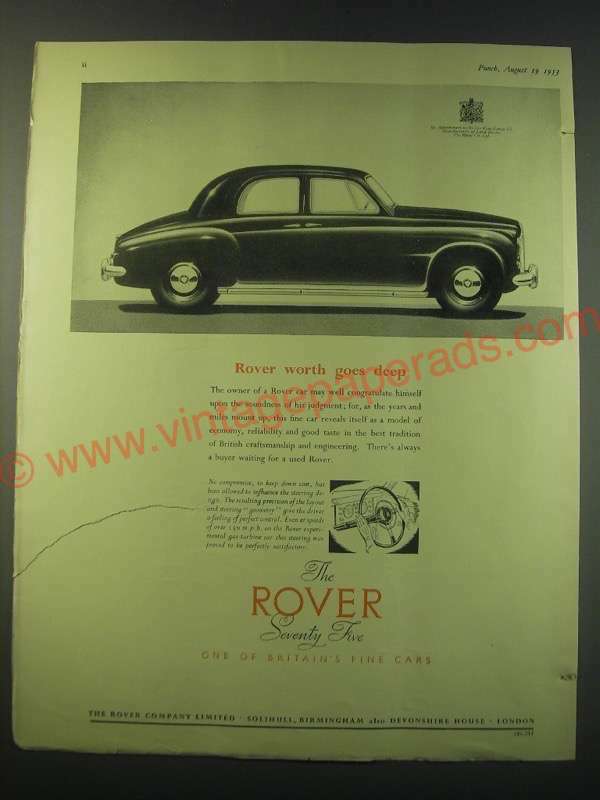 This is a 1953 ad for a Rover Seventy Five Car! The size of the ad is approximately 8.5x11inches. The caption for this ad is 'Rover worth goes deep' The ad is in fair overall condition, with some significant wear including hole punches along the right, a center crease and a large 3.5-inch tear on the left. This vintage ad would look great framed and displayed! Add it to your collection today!